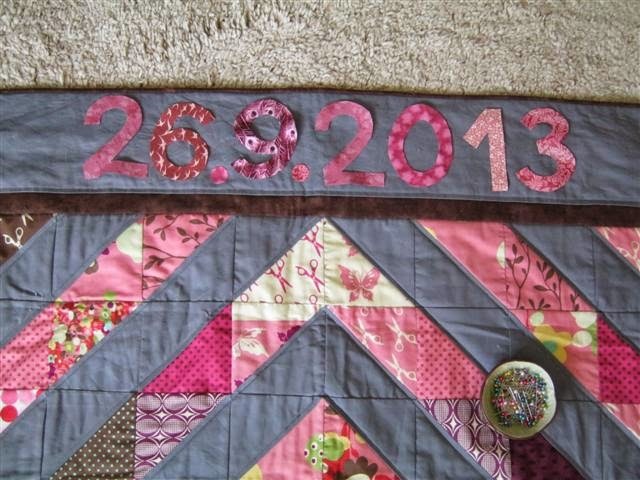 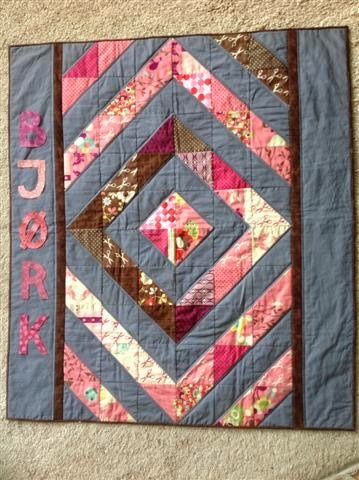 Friends of mine needed a baby shower gift and asked to buy one of my quilts. 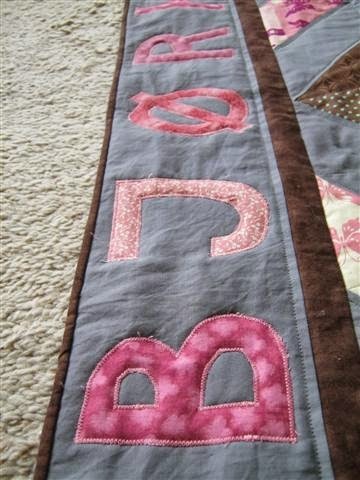 They chose the pink and grey one and asked to have it personalized. 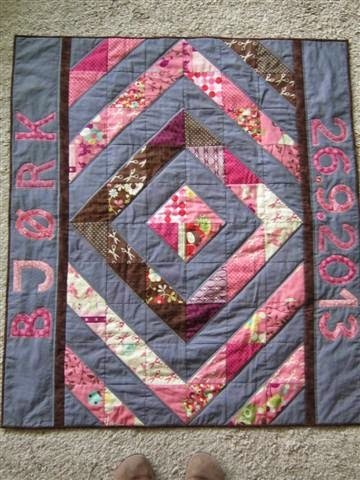 The baby's name is Bjork, so I played around with the arrangements of letters. 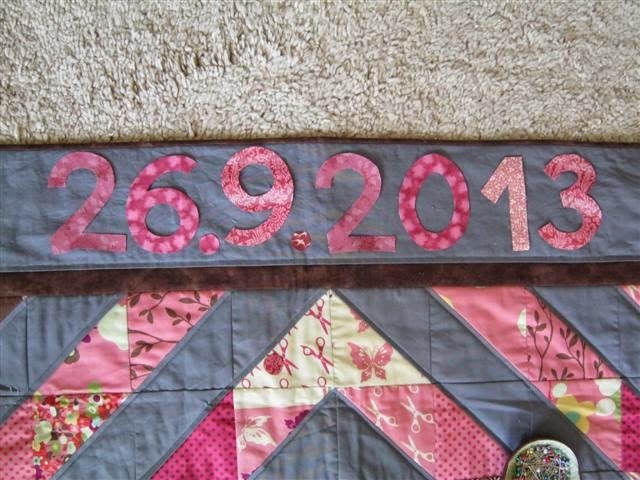 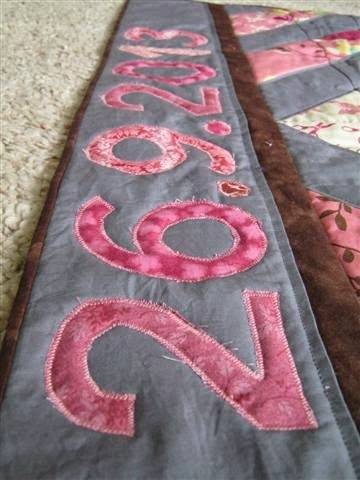 We tried to come up with something for the second side, and in the end decided on the birth date. 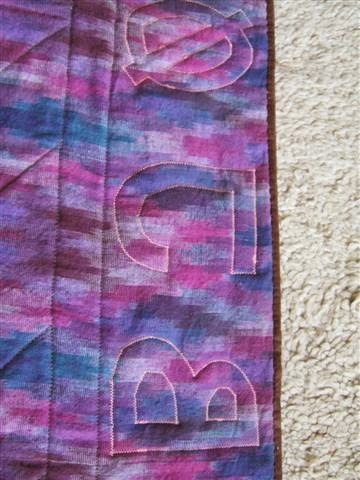 That didn't look good vertically, so I turned the letters to face inwards (it felt more of a unit than one of the sides facing outward). 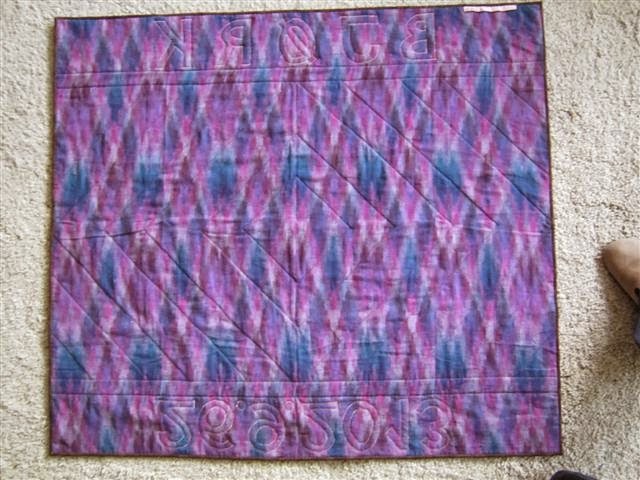 I didn't like the colours of the birthdate at first (the purple was too dark and heavy), and settled for a more subtle mix of colours. 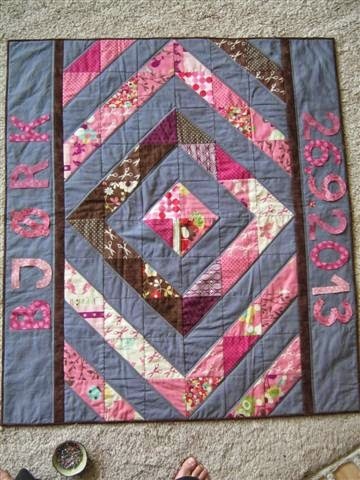 I've been told that the quilt was a huge hit ;) What better news to warm a quilter's heart... Now I hope this quilt will be spit on, puked on, washed lots and loved for years!